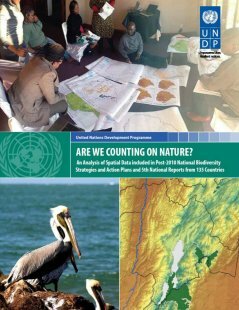 This publication features an analysis of spatial data included in post-2010 national biodiversity strategies and action plans and 5th national reports. 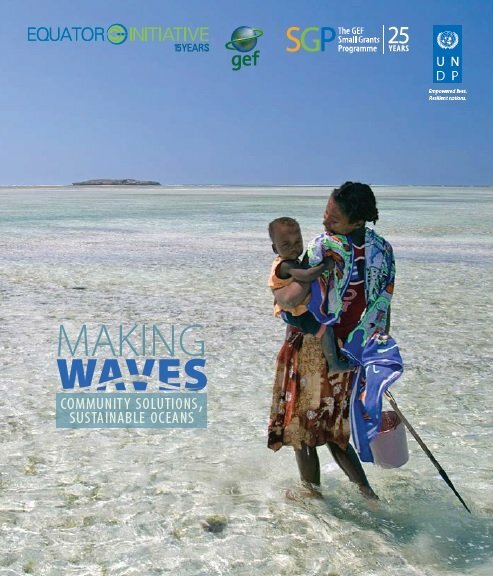 This publication presents 15 stories of outstanding community and indigenous initiatives working in coastal and marine ecosystems to deliver benefits across the 2030 Agenda for Sustainable Development. 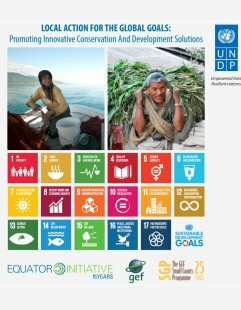 All of the communities profiled here have received the prestigious Equator Prize, awarded by the UNDP Equator Initiative partnership, and eight of these communities have also received grants from the GEF Small Grants Programme. The ambitious 2030 Agenda calls for integrated solutions across the 17 Sustainable Development Goals to address the critical challenges of our time. To achieve this ambitious agenda, we will need to support actions at the local, national, and international levels. Over the past 15 and 25 years, respectively, the Equator Initiative and UNDP-Implemented GEF Small Grants Programme have worked to advance local efforts to develop holistic approaches sustainable development. 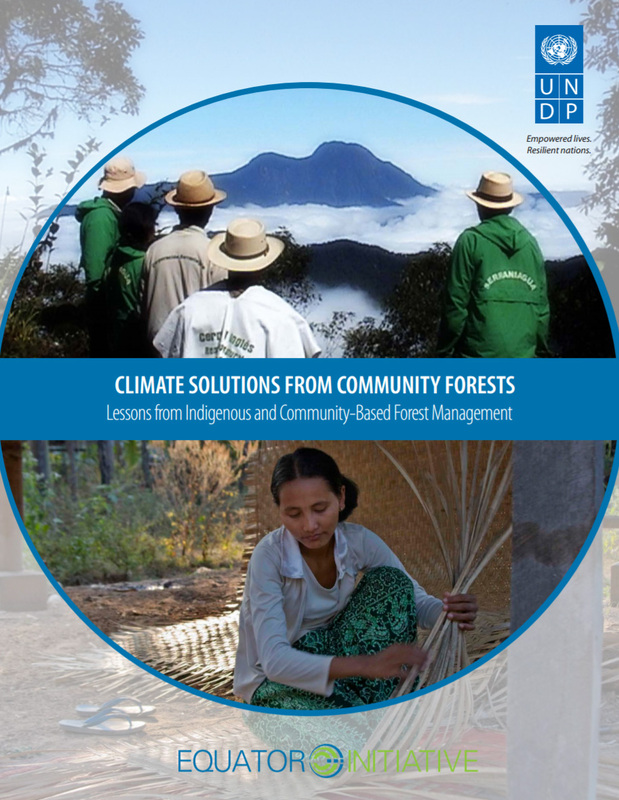 This book features case studies from 22 Equator Prize winners and highlights the significance of indigenous and community-managed forests to global climate and sustainable development goals. Organized around four central themes – sustainable forest livelihoods, forest-friendly agriculture, forest restoration, and forest protection – the book profiles a diverse range of initiatives undertaken by indigenous peoples and local communities to sustainably manage forest ecosystems. This Executive Summary profiles 22 Equator Prize winners that are engaged in sustainable community-based forest management. 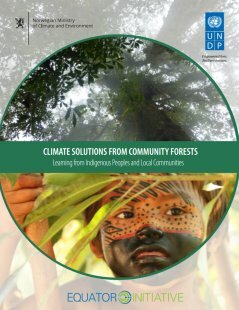 The publication provides an overview of the wide range of initiatives that indigenous peoples and other forest-dependent communities take to sustainably use, protect, and restore local forests. Such community-based action has a well-documented record of delivering an array of local benefits including poverty reduction and biodiversity conservation. 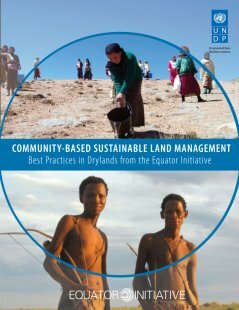 This document draws from 15 case studies, as part of a GEF-funded collaborative project on improving sustainable land management between the United Nations Development Program, Equator Initiative, ENDA Tiers Monde, United Nations Convention to Combat Desertification, and Open Society Initiative for Southern Africa. The case studies, selected through the Equator Initiative and ENDA Tiers Monde, demonstrate local ingenuity, innovation and leadership in sustainable management of drylands. Between 2002 and 2010, the Equator Prize was awarded to 127 outstanding local and indigenous community efforts to reduce poverty through the conservation and sustainable use of biodiversity. 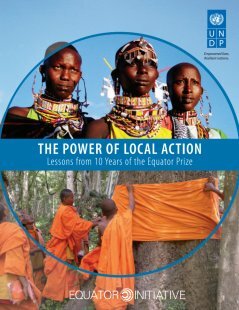 On its 10-year anniversary, the Equator Initiative developed detailed case studies on each of these leading grassroots initiatives, and undertook a comprehensive analysis of the commonalities, trends and lessons across the pool of winners. This case study compendium brings together detailed case studies on twenty Equator Prize winners that have demonstrated outstanding achievement and success in sustainable land management. 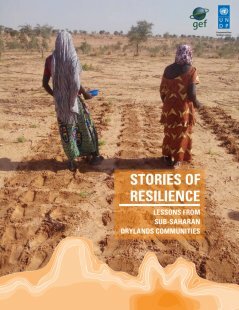 Each is from the African continent and each tells the story of community leadership in addressing those social, environmental and economic issues that are specific to drylands ecosystems. 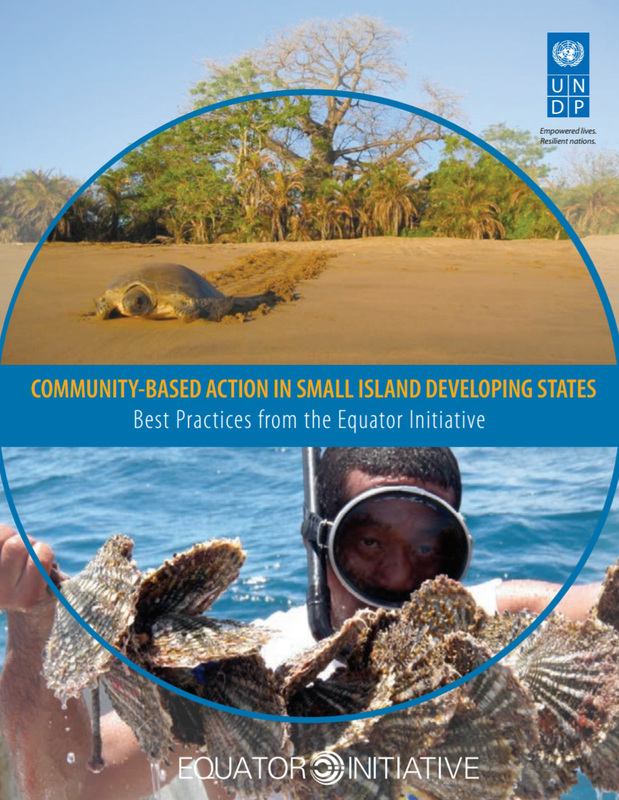 Released in conjunction with the Third International Conference on Small Island Developing States (SIDS), this publication features fourteen case studies from SIDS from the Caribbean,the Atlantic Ocean, the Indian Ocean, and the Pacific Ocean. The stories range from conserving marine resources and endangered species to initiatives in ecotourism, reforestation and network development. Community self-sufficiency and resilience in the face of threats are the common threads. 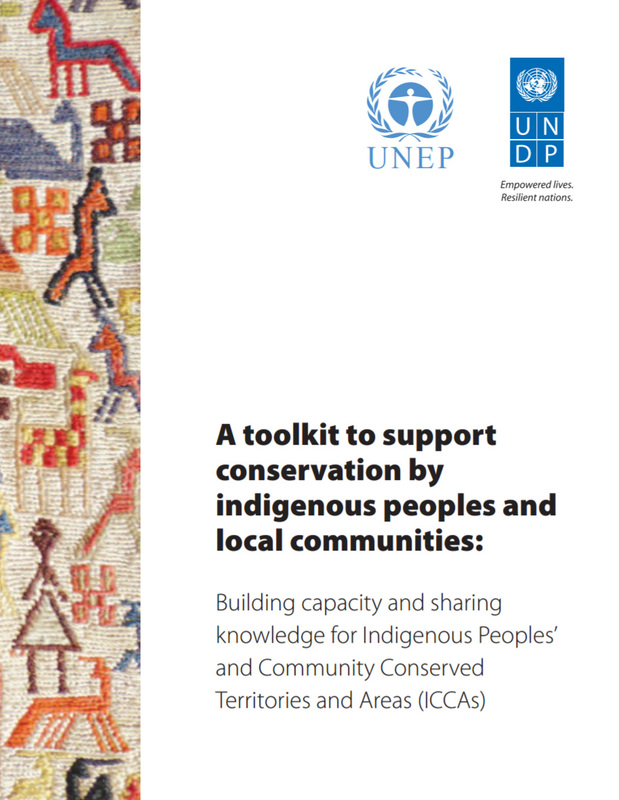 Jointly launched in 2013 by the United Nations Environment Programme (UNEP), World Conservation Monitoring Center (WCMC), and the Global Environment Facility Small Grants Programme (SGP), this toolkit was designed to support civil society-led initiatives around the globe that aim to manage and conserve Indigenous Peoples’ and Community Convserved Territories and Areas (ICCAs). In the toolkit, sixteen case studies highlight innovative tools and approaches that local communities have developed to address critical challenges affecting their ICCAs.